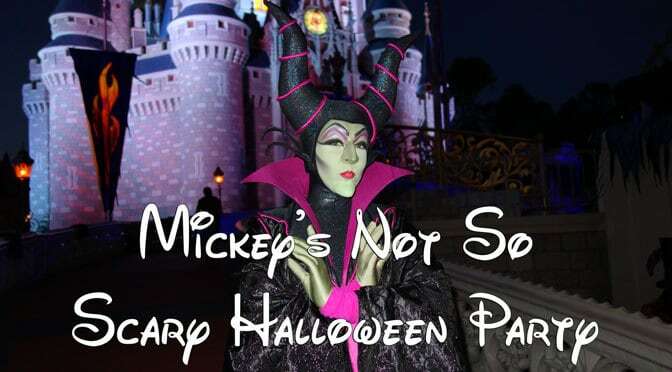 2019 Mickey's Not So Scary Halloween Party Tickets are now on sale! Many nights will sell out, especially opening night, nights around holidays and Halloween night. Most of those sell outs will not occur until we get much closer to the actual date though. It will be several months before we have an inclination of any new entertainment options. Hey Kenny. We actually got tickets for two nights of MNSHP is there a way to do it all with 2 nights ? If so what order should we do them in? Do you know when the dates will be release for Disneyland Halloween Parties in California? Does anyone know if the first party sold out last year? If so, when did it sell out? I watched a video on Youtube for the first party of 2018 and he said it did sell out, but it wasn’t until the day of. I wouldn’t chance that though. I have already bought my tickets for September 22nd! Thanks for the heads up – I’ve got mine for the day I wanted! Heading to Disney Sept. 14-21. Which date do you recommend? OMG!!! We will finally be able to go!! So excited and surprised that they released the dates so early! I was just telling hubby that should get ours as soon as they go on Sale!! Just booked for December! Any idea on ticket dates for Very Merry Christmas? Need help it’s my first time doing these parties!!! Wow! I can’t believe they are on sale this early! I’m still anxiously waiting on May & June “Early Morning Magic” & “After Hours” dates.